Like when JFK was assassinated, I’ll always remember where I was on 9/11. It’s hard to believe it has been almost 12 years. I felt the memorial was thoughtful. 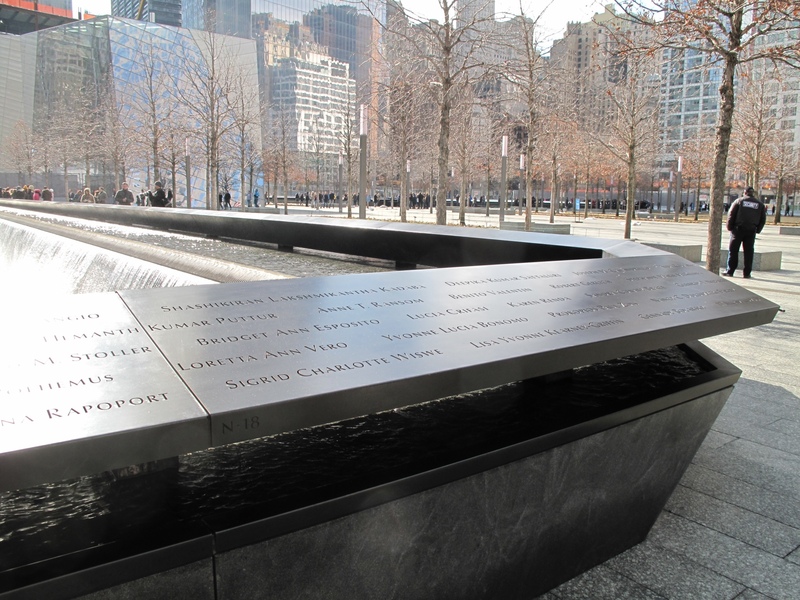 Seeing all the names laser cut in the metal, it’s hard to imagine all these lives were lost in one morning as people were going about their business. Far away, I woke to go to the toilet, Damian was working late on his laptop whilst the tv was on. We could hardly believe what we were seeing on the news update. And then the second plane. I don’t know when we got to bed.